A court ordered paternity test must not necessarily be more expensive than a privately conducted test. In Germany, the Gene Diagnostics Law is regulating the conducting of DNA testing. Accordingly, each laboratory follows the same process while performing a DAN analysis. 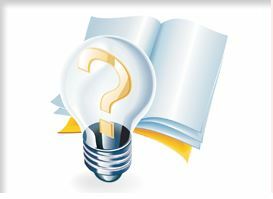 If your DNA test is ordered by a court it is important for you to know what exactly your judge wants. If you can clarify beforehand if the judge will also accept the results of a privately conducted test you can save a lot of money. The costs accrued by testing through an Institute of Legal Medicine are much higher while the method of testing is the same. To estimate the costs more accurately it is also important to know how many persons will participate in the test and if they live abroad. Not all will bill you for this service but you should check and compare beforehand. 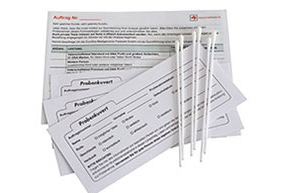 3) In Germany, the samples analysed in a DNA test must be taken during a witnessed sampling. If participants live abroad this witnessed sampling must be done by a public health officer. The subsequent shipment tracking to Germany must be reliable. It would be unfortunate if samples were lost during the shipment. We can support you with this. For the sampling abroad we are working together with the German embassies worldwide. We will organize the sampling and take care of the shipping for you.